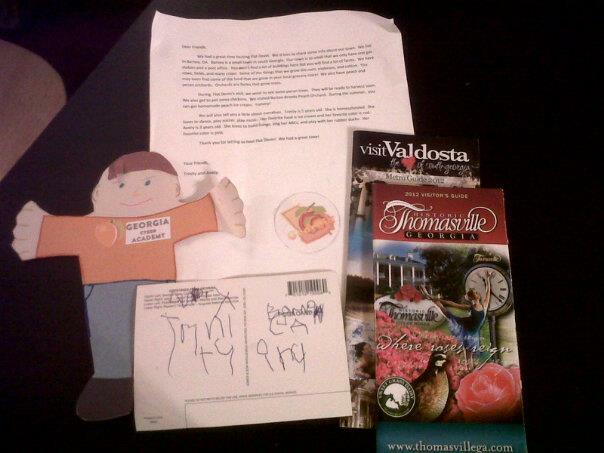 We took part in a Flat Stanley exchange both through GCA and the Flat Stanley website. Unfortunately, we did not receive any of the Flat Stanleys that were supposed to be visiting us. We did however get one of ours back. (We sent three out.) Devin was so excited when we made his look like him and named it Flat Devin. The other two Stanleys looked the same except we did not do GCA on the shirt but the state of Georgia itself. 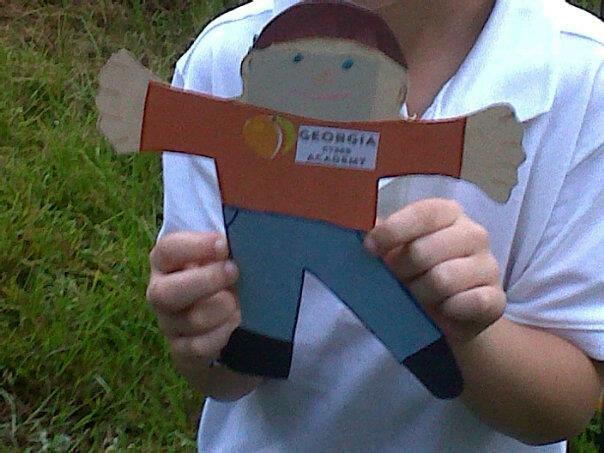 We also used several Flat Stanley books during history and science. 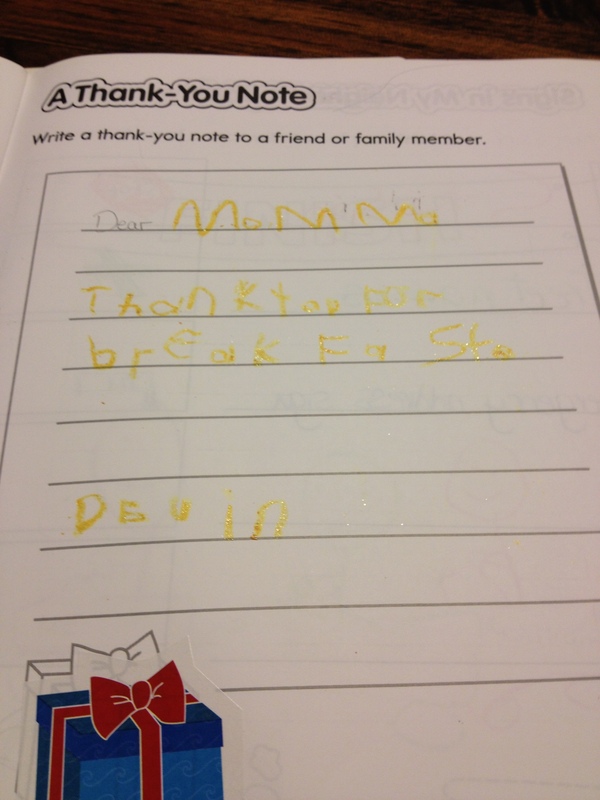 The first picture is from the About Me workbook they do during Kindergarten. Several of these pages are used for the portfolios. The second photo is a page from his notebook we kept while doing the ALP class connect sessions. 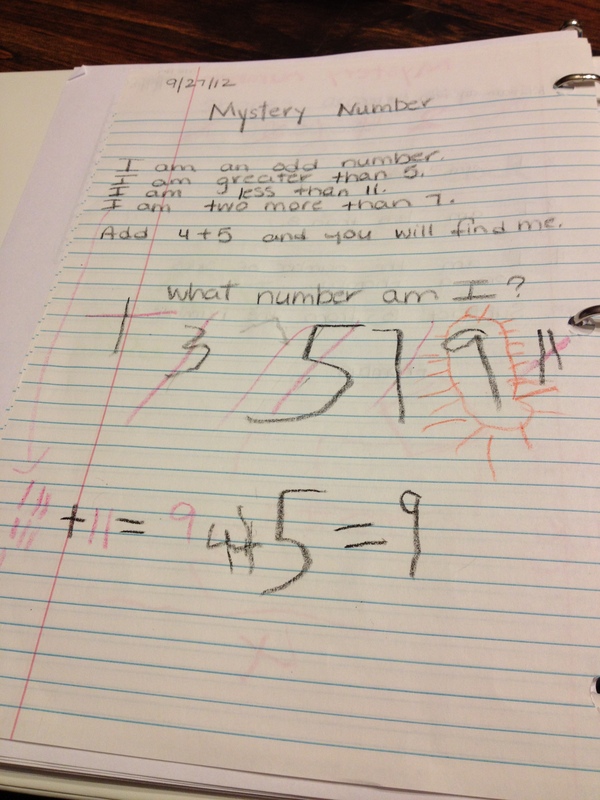 He really enjoyed the mystery number exercise.